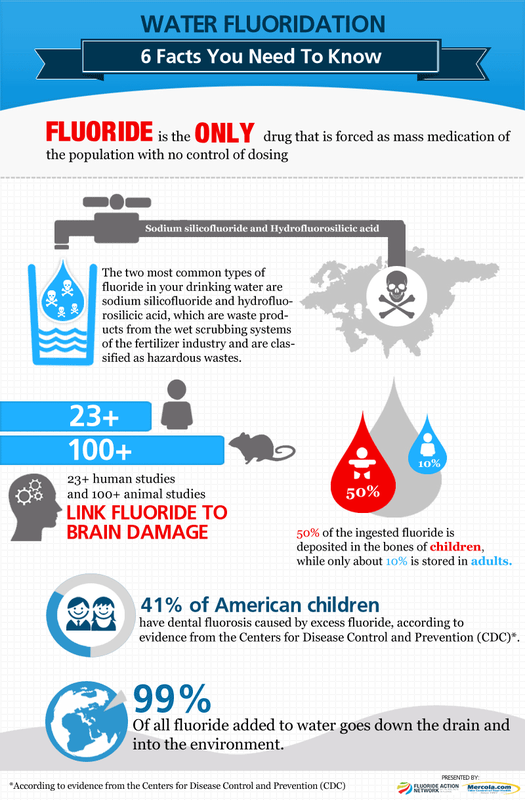 Fresh water is one of our most vital resources, and when our water is polluted it is not only devastating to the environment, but also to human health. The US relies on public water systems to treat and deliver just over 44 billion gallons of clean water each day to our homes, schools and businesses. Much of that water comes from rivers, lakes and other surface water sources. Before it is delivered to our homes it is treated to remove chemicals, particulates (e.g., soot and silt) and bacteria. This clean, potable water is then used for cooking, drinking, cleaning, bathing, watering our lawns and so forth. Those that are served by public sanitation systems rely on sewers to keep untreated waste water from being released into the environment where it could potentially contaminate our drinking water sources and the natural environment. When the water goes down the drain or is flushed down the toilet, it usually enters a sewer system where it travels to a waste water treatment plant. The plant treats the waste water and removes solid waste and other contaminants before releasing the treated water it into the environment. Depending on the type of treatment the waste water receives, water that is released could have different levels of quality from the water body into which it is released. Even though our local and federal governments make large investments each year to keep our water clean and safe, our water systems still do not receive the amount of funding needed to keep them working properly. A 2007 EPA survey found that water and waste water infrastructure projects across the country will need a total of $334.8 billion for the 20-year period from January 2007 through December 2027. Unfortunately, during fiscal year 2012, allotments from the Clean Water State Revolving Fund G totaled only $1.5 billion for all states. As a result of underfunding, much of our aging infrastructure either doesn’t work properly or is in need of upgrades, all while strained by a growing population, economic development and climate change variability. One result of underfunding water infrastructure is massive water main breaks. For example, in 2010, a massive main break in Boston led to an order for the public to boil water that affected 2 million people. According to a 2012 report by The American Water Works Association, restoring, replacing and expanding our existing water systems to accommodate a growing population will cost at least $1 trillion over the next 25 years, if we expect to simply tread water and maintain current levels of service. Likewise, underfunded waste water infrastructure leads to between 23,000 and 75,000 sewage leaks each year, allowing, on average, 1.26 trillion gallons of untreated sewage to leak into our waterways at a clean-up cost of over $50 billion. According to the EPA, 40 percent of all waterways in the US do not meet national water quality standards, due in large part, to leaking sewer systems. A national survey also found that over half of US rivers and streams are in a state of poor biological condition which harms the viability of those waterways to sustain healthy populations of aquatic insects and other aquatic life. Furthermore, a recent analysis found that the number of beach closing and advisory days in 2011 reached the third-highest level in the 22-year history of analyses, totaling 23,481 days. 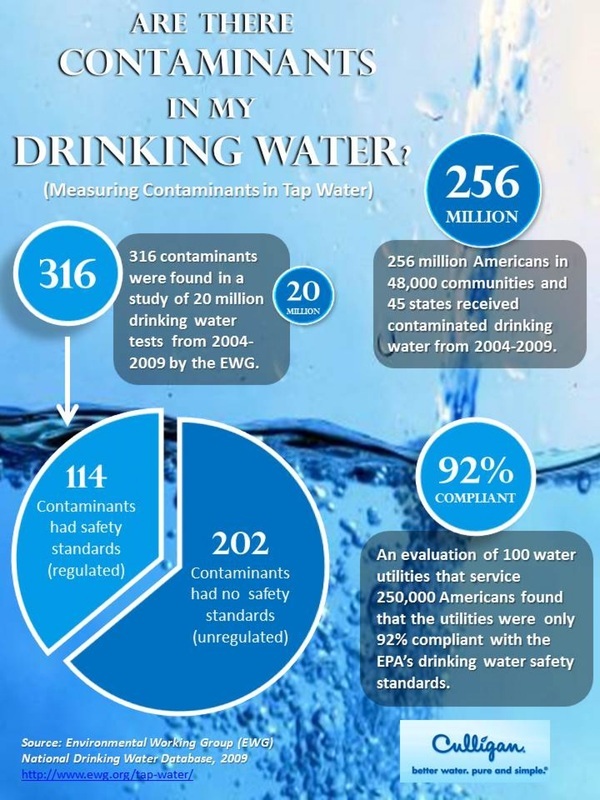 More than two-thirds of those were due to bacteria levels that exceeded public health standards, indicating the presence of human or animal waste in the water. Illnesses commonly caused by sewage contamination in water systems include diarrhea, hepatitis A, meningitis, ulcers, myocarditis (inflammation of the heart) and a number of other diseases. These high numbers confirm that the nation's beaches continue to suffer from serious water pollution. The quality of our water is directly linked to the quality of our lives. By supporting clean water initiatives and similar measures that improve our water and wastewater treatment systems, we can each have a hand in ensuring clean, safe water for ourselves, our families and our communities. (Foreground) Fouré Moussa collects the 80 litres of water her family uses daily from a borehole two kilometres from her home, in the Niger. To avoid long queues at the water source, she goes at night. The walk takes 30 minutes each way, and once there, it takes 15 minutes to fill a container. 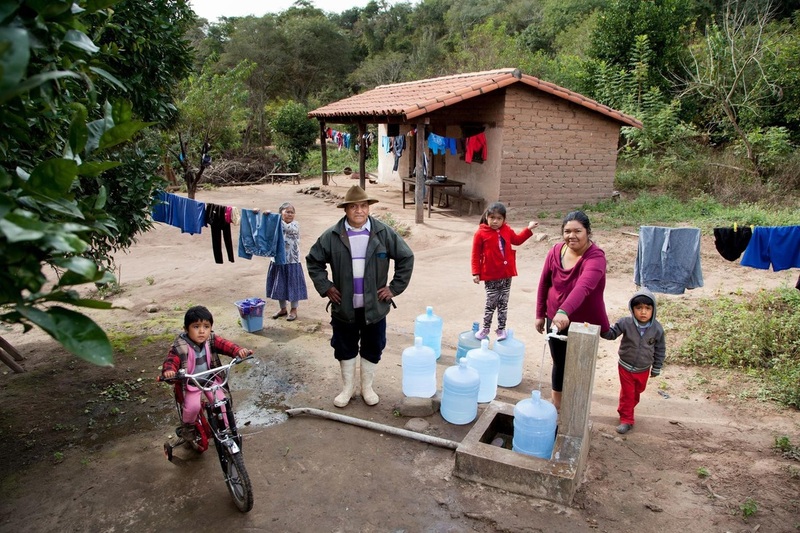 (Third from left) René Visalla and his family, indigenous Guaraní in Bolivia, use 140 litres of water a day. He says that running water and a toilet have brought his family safety, including from snakes in the bushes, where they once relieved themselves. 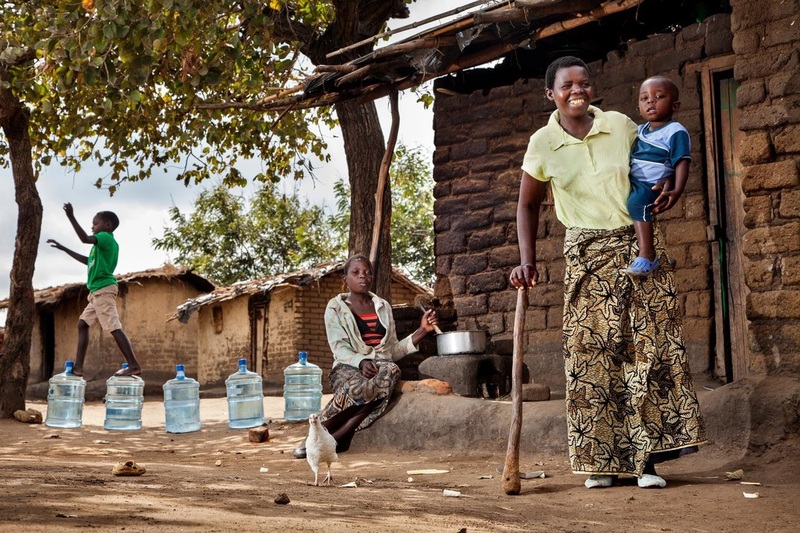 Rhoda January’s family draws the 100 litres of water they use from a recently installed borehole, in Malawi. Previously, their water came from shallow wells. “The water was really bad. … We were supposed to add chemicals to clean it, but we are so poor we couldn’t afford it,” she said. (Foreground) Felix Siliya’s family collects their 120 litres of water from a borehole 700 metres from their home, in Malawi. Previously, the nearest borehole was five kilometres away. 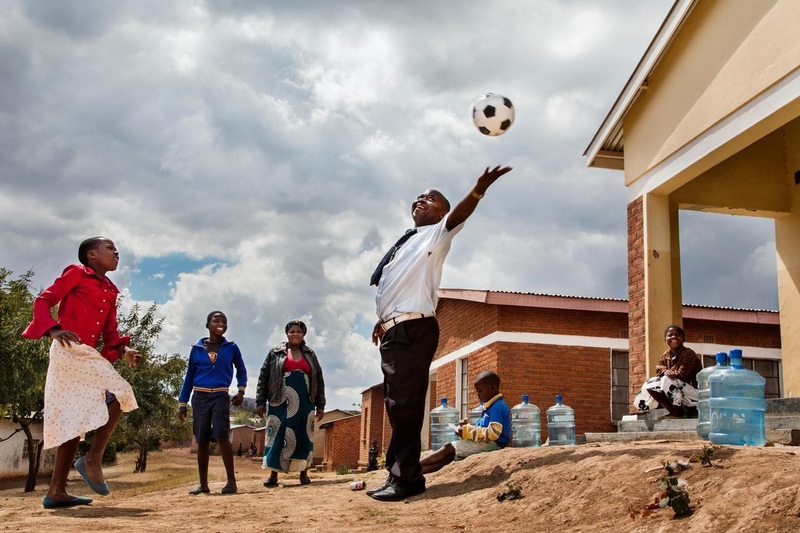 “When water was so far away, we couldn’t carry a lot, so we never had enough water,” he said. 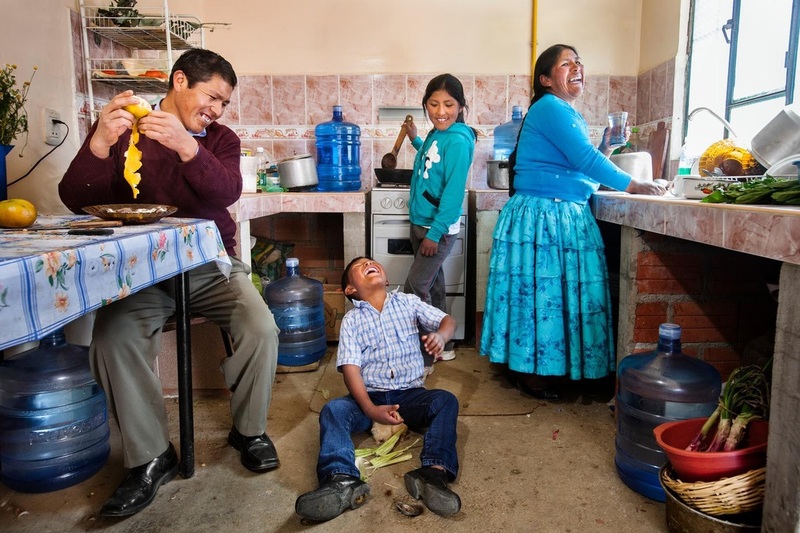 The Esteban family lives in District 7, one of the poorest neighbourhoods in the Bolivian city of El Alto, where they use 100 litres of water daily. 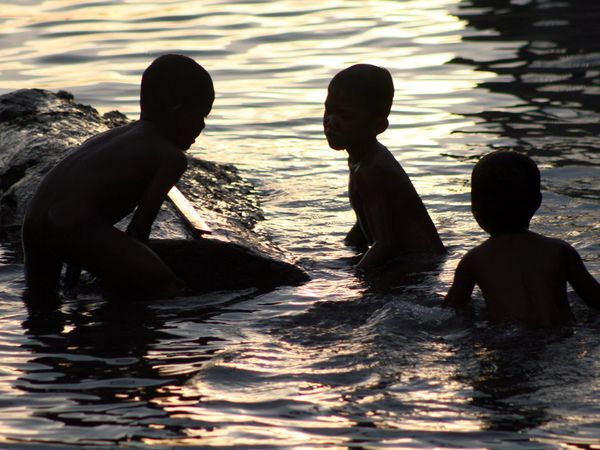 “The most important thing in my life and my home is water. Without it we don’t have life,” said Ms. Esteban. 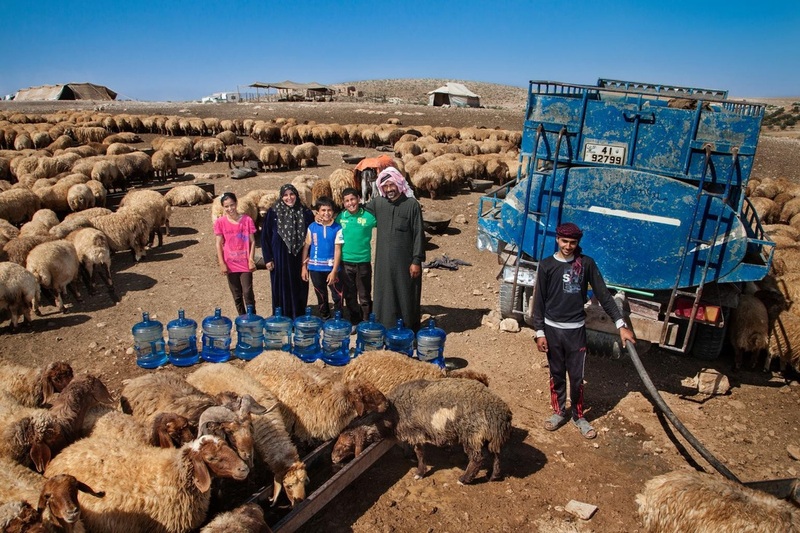 (Second from right) Abu Ibrahim’s family, members of the Bedouin ethnic group, move from place to place in Jordan’s deserts, following access to water and food for their 700 sheep. They use 8,000 litres of water daily — 200 for themselves and 7,800 for their herd. The water you drink today has likely been around in one form or another sincedinosaurs roamed the Earth, hundreds of millions of years ago. 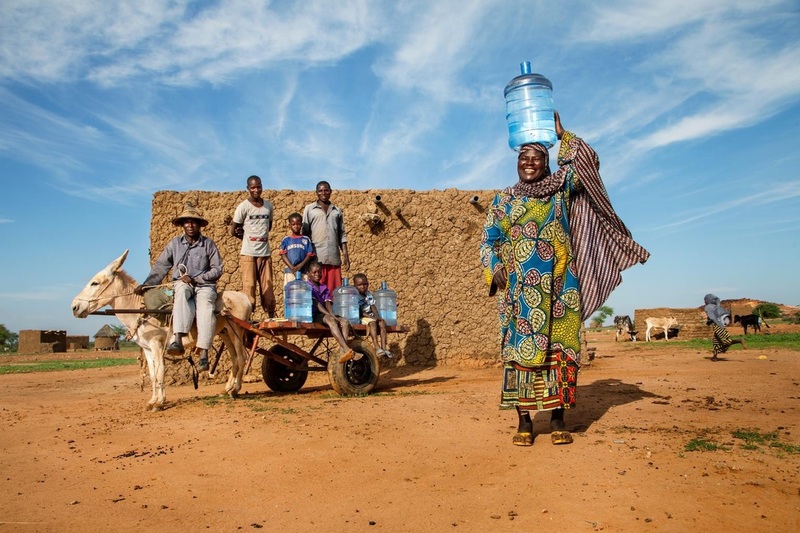 Water scarcity is an abstract concept to many and a stark reality for others. It is the result of myriad environmental, political, economic, and social forces. Due to geography, climate, engineering, regulation, and competition for resources, some regions seem relatively flush with freshwater, while others face drought and debilitating pollution. In much of the developing world, clean water is either hard to come by or a commodity that requires laborious work or significant currency to obtain. Wherever they are, people need water to survive. Not only is the human body 60 percent water, the resource is also essential for producing food, clothing, and computers, moving our waste stream, and keeping us and the environment healthy. The challenge we face now is how to effectively conserve, manage, and distribute the water we have. National Geographic's Freshwater Web siteencourages you to explore the local stories and global trends defining the world's water crisis. Learn where freshwater resources exist; how they are used; and how climate, technology, policy, and people play a role in both creating obstacles and finding solutions. Peruse the site to learn how you can make a difference by reducing your water footprint and getting involved with local and global water conservation and advocacy efforts. Did you know drinking two 12 ounce glasses of soda every day for one month means you will intake 8,000 calories and 5 pounds of sugar? While fine to drink on occasion, high-calorie, high-sugar drinks, like soda, can cause an array of negative effects to your body and wallet. 1. Lose WeightWhile there is no one-size-fits-all solution for weight loss, the basic formula for trimming your waistline is to burn more calories than you eat. As an aid for weight loss, water will help you to feel full more quickly, so you will eat less and shed the pounds. 2. 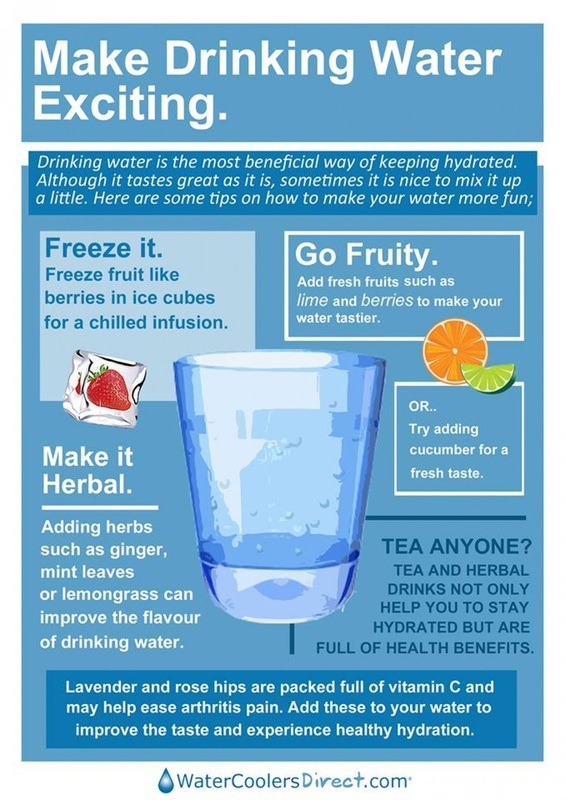 Burn More CaloriesDrinking more water can help you to burn more calories by regulating your metabolism, which is your body’s ability to convert food into energy. By drinking 17 ounces of water per day, your metabolism could speed up by as much as 30 percent. 3. Exercise with EaseSkip the energy drinks – drinking water while working out is the ultimate muscle fuel. High-intensity physical activity can cause you to lose water through sweat and your muscles to become tired. For a boost of energy, drink water to reduce cramps and sprains, and push you through that final set of pull ups. 4. 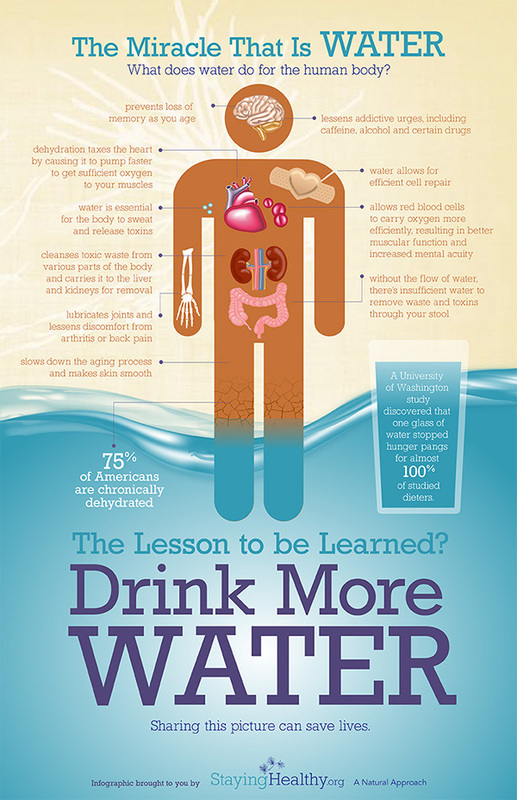 Have Clearer SkinStudies show that people who drink more water tend to have clearer, younger looking skin. Water works to hydrate your skin and reduce toxin-induced blemishes, resulting in a healthy glow even your best moisturizer can’t achieve on its own. 5. 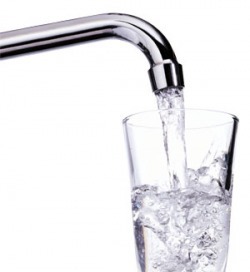 Flush Toxins OutYou may have tried the latest juice cleanse to detox your body, but what about drinking a refreshing glass of water? Water helps to eliminate wastes and toxins from your body by encouraging healthy digestion and transporting nutrients to where they are needed. 6. Prevent HeadachesEveryone suffers for the occasional headache, and oftentimes they are caused by dehydration. Instead of reaching for medication next time your head hurts, try reaching for a cold glass of water to prevent or alleviate your headache symptoms. 7. Have Less Joint PainWater works as a lubricant for your joints, helping to reduce joint pain and protect against daily wear and tear. 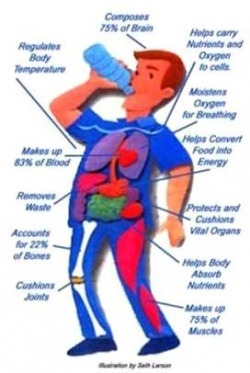 In fact, drinking more water can help to eliminate other pain in the body by supporting your lymphatic system, a network of nodes, tubes, vessels and fluid that move waste from your tissues. 8. Save Your KidneysYour kidneys perform the life-sustaining job of filtering and returning to the bloodstream about 200 quarts of fluid each day, so taking care of them is important. Drinking more water may help to significantly reduce your risk for chronic kidney problems; it may even help to prevent kidney stones from forming by flushing out the buildup. 9. Protect Your Spinal CordTraumatic injury to the spinal cord can cause neurological impairments that cause life-long complications. To protect your spinal cord and other sensitive tissues, the Centers for Disease Control and Prevention suggests drinking an adequate amount of water. 10. Boost Your ProductivityYour brain and nervous system send out electrical signals to function properly. Having a regular supply of water will help to increase electrical functioning in your brain for clearer thinking, so you will feel more efficient and productive. 11. Stay AwakeWhile your morning brew may keep you awake temporarily, its caffeine may dehydrate you, and consequently make you more tired, in the long run. Fortunately, sipping on a glass of water with breakfast can awaken and rejuvenate you, too, by hydrating your body to increase its power to work to its full capacity. 12. Feel HappierDehydration can affect your mood and make you feel sad, grumpy and confused. 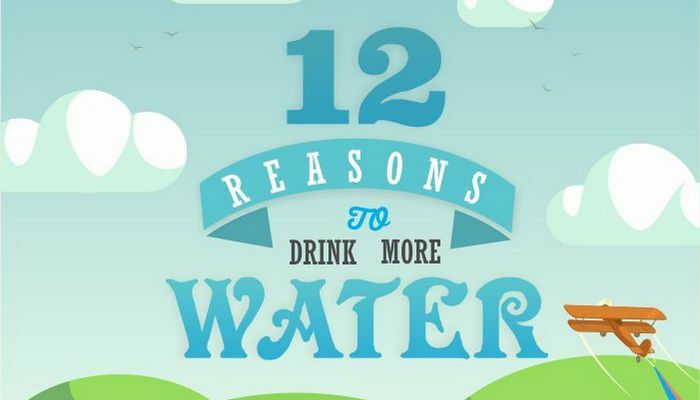 Stay hydrated and feel energized by drinking the recommended amount of water (typically eight 8-ounce glasses a day). Water stimulates the flow of nutrients and hormones that release those feel-good endorphins you need to feel happy. Disease caused by ingestion of water contaminated by human or animal excrement which contain pathogenic microorganisms include cholera, typhoid, amoebic and bacillary dysentery and other diarrheal disease such as Giardiasis (Protozoan), Cryptosporidiosis (Bacteria), Campylobacteriosis (Bacteria), Shegillosis (Bacteria), Viral Gastroenteritis (Virus), Cyclosporiasis (Parasite). Correct timing to take water, will maximize its effectiveness to the human body.